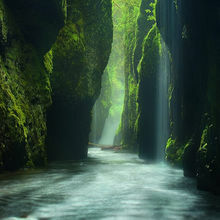 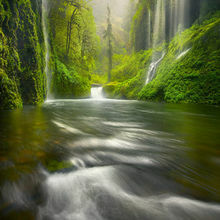 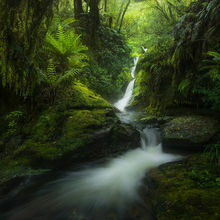 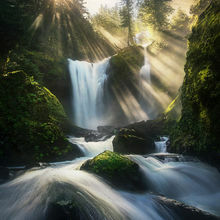 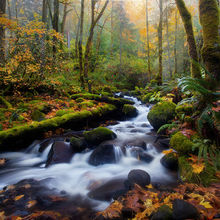 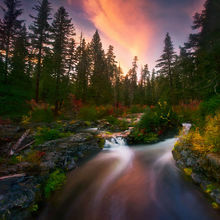 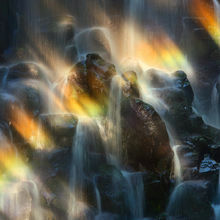 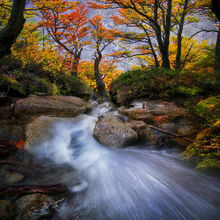 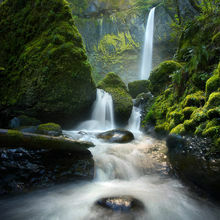 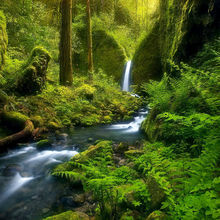 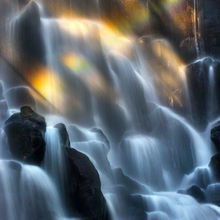 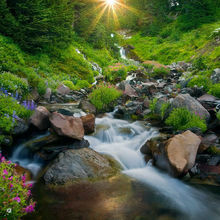 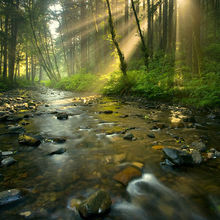 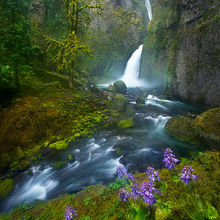 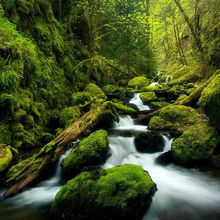 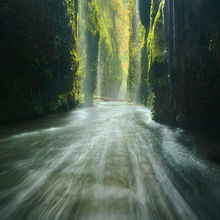 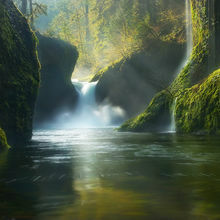 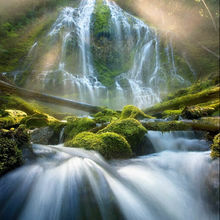 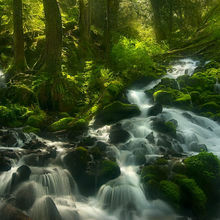 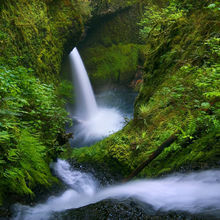 The Pacific Northwest is one of the finest areas in the world to photograph streams and waterfalls. 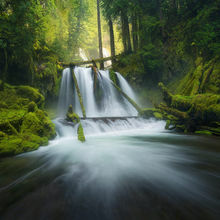 The western slopes of the appropriately named Cascade Mountain Range provide thousands of opportune locations to observe huge waterfalls and streams in the temperate rainforest environment. 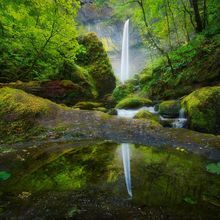 In the heart of this region is Oregon's Columbia River Gorge, which offers nearly a vertical mile of very steep terrain and hundreds of year round streams. 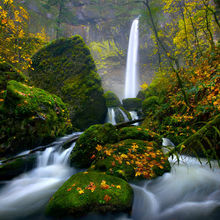 The Columbia Gorge region has the greatest concentration of accessible waterfalls on the continent. 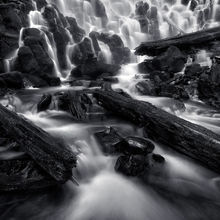 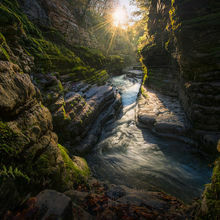 Photographs from the Columbia region make up most of this gallery, although there is no shortage of stream and waterfall photos to be found in other regions I have visited.